So you have a new website that you love? It’s taken months of planning, designing and building and it has cost a small fortune. Now it looks exactly how you want it to, and you want to keep it that way. The problem is, websites are prone to tech issues, downtime or even hacking. So what can you do to keep your website safe and secure? In this post, I want to tell you why setting up a maintenance plan for your website can save you lots of time and money when things go wrong. A maintenance plan is something you can set up with your web design agency for an additional fee. It’s a monthly service that they charge to keep your website up-to-date and secure. Usually, prices range from £50–£200 per month depending on what’s included in the package and how much support you need. Before you ask, this is not a sales pitch. We don’t sell standalone maintenance packages unless we have built your website. We only offer this service as a special offer to our web design clients. The reason I wrote this post is not to sell to you but instead explain all the potential risks of managing your website without extra support and guidance. Read more about why we won’t touch your website unless we’ve built it. When you get access to your website, it’s understandable you’ll want to have a play around and make some updates and amendments. After all, you need to feel confident that you know what you’re doing. The only problem is, you might make a mistake and accidentally delete something that you shouldn’t or change the layout when you didn’t mean to. It happens to the best of us. But this does mean you might spend hours trying to get it back to the way it was. 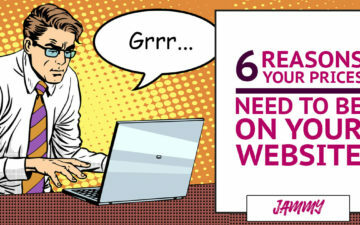 Surely your time is better well spent building and growing your business rather than sifting through your website working out what went wrong. 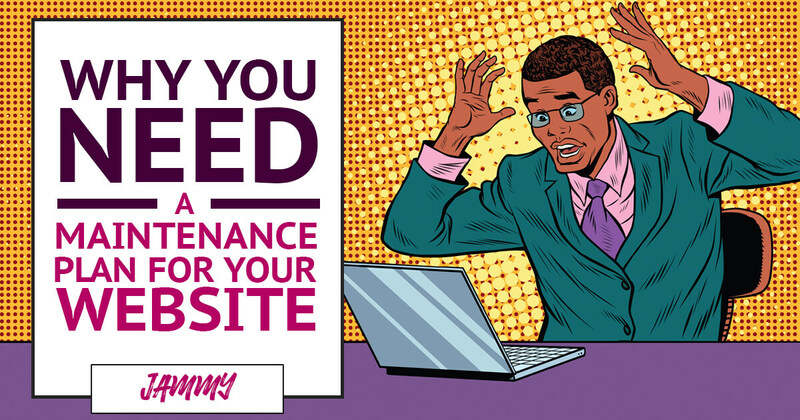 If you have a maintenance package, this often means your web designer (or the company you’re paying) can fix it for you. At the very least they’ll be able to restore a previous version of your website to put it back the way it was. 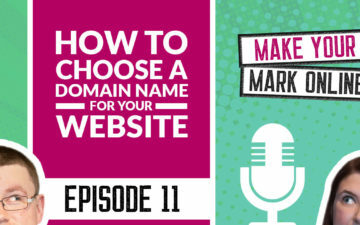 Hosting is like renting space on the internet, every website needs it and you have to pay annual fees to keep your website and domain name live. Normally, this would cost you anything between £50–£500 per year depending on who you choose. Some web designers include these fees within their monthly maintenance plan so you don’t get a surprise invoice every year. This is exactly what we do with our clients and they save between £100–£150 per year on hosting fees. A nice little bonus at no extra cost. The security of your website is VERY important, and you as the website owner need to take this seriously. I don’t mean to scare you but websites get hacked all the time. It sometimes happens without you knowing and it can cause a lot of damage to your site. Not fun. It’s not just your website that’s at risk. Most websites collect and store personal information about customers and potential customers. 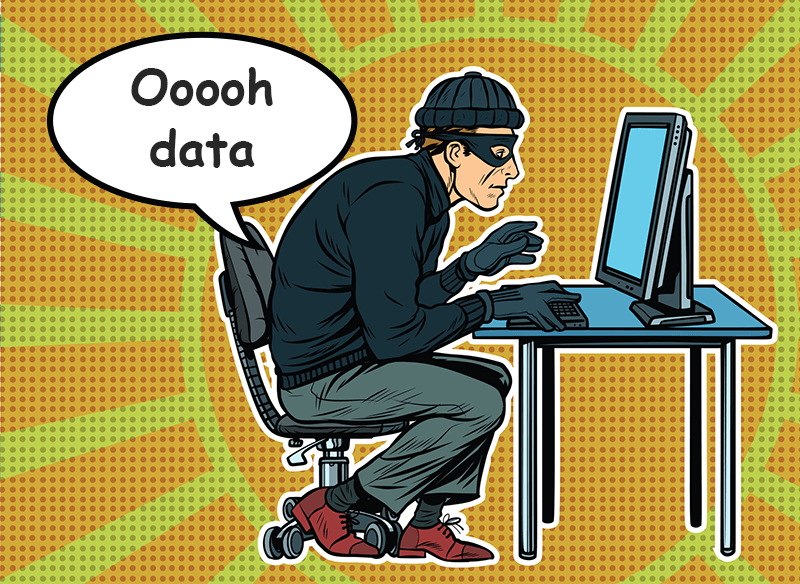 If you don’t have efficient security on your website, you could put all this data at risk. Those are just a few of the things that a maintenance plan could include to help keep your website safer and more secure. A website “backup” is a saved copy of your website from a previous time e.g. a day ago, a week ago, a month ago and so on… This can be stored in the website files and can be restored if something goes wrong with the website. If you don’t have regular backups of your website then you are leaving yourself open to one big headache if you break something or you get hacked. When you have a maintenance plan, a backup of your website will be stored (usually daily) so it can always be recovered if need be. In the past, we’ve had customers call us and say, “we accidentally messed up the website and can’t get it back” in that case, I can go back to a specific date and recover all the previous settings. With our maintenance plans, we actually do two backups of your website every day for extra security. One backup with the host and one stored AWAY from the website, so it can always be recovered if your website is not accessible. Your website is ever changing. Even if you don’t make website changes yourself, the tech behind the scenes will need to be monitored and kept up-to-date. Most websites have additional plugins or themes that have new releases all the time. You NEED to stay on top of these to keep your site running smoothly. Content management systems (like WordPress, Joomla and Opencart) should also be kept on the latest versions too to prevent any potential issues. Trying to manage all these updates yourself can be a tedious and time-consuming task, especially if you’re not a techie. With all these updates you have to do, it’s not uncommon that something can go wrong. Plugins can stop working or they’ll stop playing nicely with other plugins. In the meantime, your website might not be working properly. When you have a maintenance plan, these updates are done for you so you don’t have to worry. They’ll be kept up-to-date and if something goes wrong during an update, it will be fixed and your website will be back to normal in no time at all. If you’re a forward-thinking business owner, you’ll be learning about new ways to promote and market your business online such as social media, SEO and content marketing. You might have lots of questions and want some advice on how to use these tools to your advantage. Some maintenance plans include email support and/or phone support as part of their package. This means if you have any nagging questions or need some extra guidance you’ll always have someone on hand to help. The level of support you need will determine how much the maintenance plan will cost each month. For instance, we have some clients who pay hundreds of pounds per month for regular online coaching sessions as part of their support plan. In addition to support and guidance, you might need someone to work on your website on a regular basis. This could include, creating new pages, adding images and text and making structural changes. You can try and do this yourself if you like but if you have better things to do and you have the budget, you can pay for a maintenance plan that includes a certain amount of development hours per month. If this is something you think you’ll need, my advice is to start with 1-2 hrs per month and go from there. You’re in safe hands. Managing a website can be very time-consuming, especially if something goes wrong. It’s nice to know someone is there taking care of your website behind the scenes. Even if they’re simply keeping track of the basics. Having an extra pair of eyes look over your website will help you sleep easier at night. I get it. 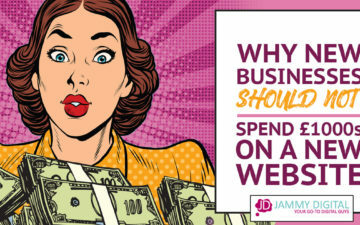 You’ve spent potentially thousands on a new website, and you don’t want to spend more each month. However, investing in a maintenance plan only serves to protect your original investment. Unfortunately, we cannot leave websites. At a minimum, we need to keep them healthy and up-to-date. You have to decide whether you want to spend the time doing this or pay for a maintenance plan. Either way, you’ll have to take some action, or you run the risk of damaging, or even losing your website. Please note, having a maintenance plan doesn’t guarantee you won’t get hacked or lose some of your work. Every website is susceptible. But it will significantly reduce the chances of it happening and limit the damage if it does. Like I said before, you CAN’T sign up with us unless we’ve built your website but spend some time researching different companies. Have you ever been a victim of hacking? Maybe one of your out-of-date plugins caused your website to go down. I’d love to hear from you, please leave a comment below.